Food vacuum sealers are an incredible way to stop throwing away food that is past it’s prime, saving you money, cutting your household waste, and making your life so much simpler. There are many different options to look for when you’re thinking of purchasing a food vacuum sealer, each one very different to the other. Some offer more extensive features, such as instant marinating features, customizable bag sizes, and automatic or hands free modes, all of which aim to make your life much easier. The more basic models simply vacuum pack your food for easy and quick storage that will still make your foods last for so much longer. No matter what you want in your food vacuum sealer, each option is sure to give you so many benefits that you will wonder what on earth took you so long to buy one in the future. This article has put together some of the best food sealing systems currently available on the market, so whether you are looking into buying your very first food vacuum sealer, or if you are looking to replace an old one, this article has everything you need. We have researched the best options on the market and compiled detailed descriptions and reviews of each one, so that you are sure to get exactly the right option for you. 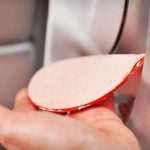 As well as this, we have also created some excellent tips and tricks, and put together some important facts and information together so that you know exactly what to look for when you’re buying your new vacuum sealer. So, keep reading, and find out all that there is to know about what you need to look for, and what models and brands will give you the best food sealer to fill your needs and give you everything that you want and need. A food vacuum sealer is a great addition to any kitchen; they create an airtight package to keep food as fresh as possible for as long as possible. Vacuum packing your food has been shown to keep food fresher for up to five times as long, allowing you time to use up all of the food in your food shop without having to throw away any food that has gone off before you get the chance to use it. As well as saving your food from the trash, most vacuum sealing systems have the option to seal jars, bottles, and other containers so that you can keep liquids and other produce sealed and lasting as long as possible. 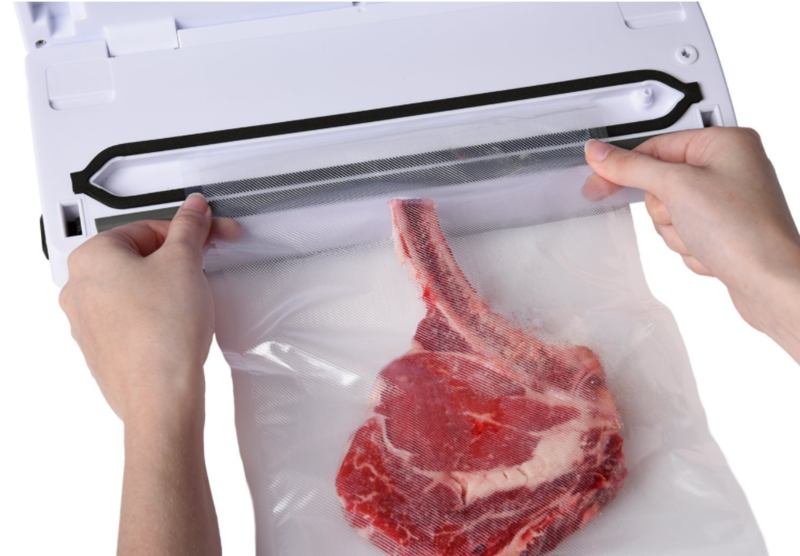 Vacuum sealers remove all of the air out of the packaging, and then create a strong seal by using heat on the plastic to keep air and bacteria away from the food, making it last much longer that usual. The food can then be stored in the fridge, freezer, or cupboards in much smaller containers, rather than wasting space with Tupperware and boxes. Vacuum packing is not only for foods, however, vacuum sealing systems will seal almost anything you need it to in order to preserve or package away. Vacuum sealing systems can be used with pre-made bags, and some have options to custom make the bags and packaging so that you can create bag large enough for even the biggest or smallest of foods, without wasting money on the cut offs of the bags. Vacuum sealing your foods can save you hundreds of pounds a year, and massively cuts down the amount of waster that leaves your house every week. This can improve your carbon footprint, as well as improving the numbers on your food bill. Many people use their vacuum sealing system to vacuum pack bulk buys of foods, which will further reduce your food bill every month. Food Vacuum Sealers are a very popular kitchen appliance lately, as they can keep your food fresher for longer, and save you money. If you’re looking into buying a new food vacuum sealer, you may be wondering what options are available to buy, and which ones may suit you best. Many vacuum sealers have manual functions, and the most basic options are only manual, meaning that you need to stand there and hold a button or lever in order to get the vacuum forming in the bag, then seal it yourself. More advanced options will provide you with and automatic function so that you don’t have to stand and wait; you can simply clip the bag into the machine, and the sealer will do the rest for you. With this option you can carry on your kitchen duties while the sealer vacuum packs your food for you. Most hand sealers are a part that comes with a standing sealer, there aren’t many options for hand sealers available; but not all sealers will have a hand sealer attachment. If you’re looking to seal smaller amounts of foods and smaller bags, a hand sealer attachment can be useful, as they can get a much more precise vacuum and seal, providing you a better quality vacuumed package. Standing sealers are the basic body of the sealer. They seal both large and small bags, and have the many various different functions to help you seal your foods as best as possible. Integrated vacuum sealing systems make sure that each part of the sealer works in tandem with the others to ensure that the machine reduces as much waste as possible. Most integrated systems have an internal bag roll and cutter so that you can custom make your bags and reduce the amount of wasted material produced form each usage. The FoodSaver 4840 2-in-1 Automatic Vacuum Sealing System is an excellent food sealing system from the brand leader, which offers many innovative features, and is suitable for even the most delicate of foods. 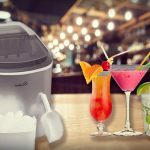 The FoodSaver 4840 2-in-1 Automatic Vacuum Sealing System is the top of this list because it offers a powerful suction and seal so that you can get the most out of your vacuum sealer, whilst saving yourself money and waste throughout the year. 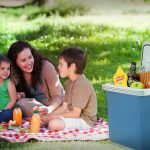 FoodSaver advertises that you can save around $600, which is an incredible saving throughout the year, as well as cutting down on the amount of waste that your family produces. 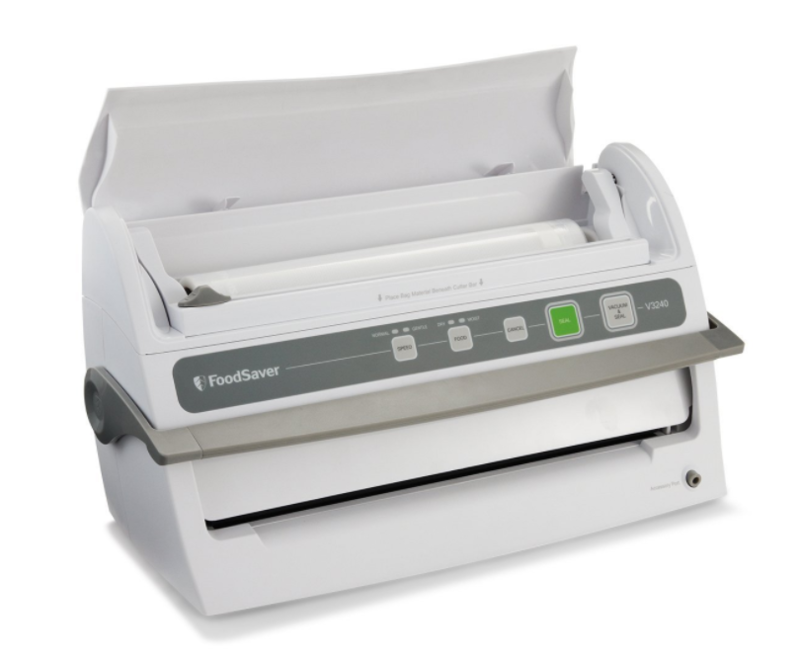 The FoodSaver 4840 2-in-1 Automatic Vacuum Sealing System is the most expensive option on this list, but it also offers the most features, such as marinating and a much higher sensitivity than other models, and is the most durable, as it is made out of stainless steel, yet it is still lightweight and compact. The main drawback to the FoodSaver 4840 2-in-1 Automatic Vacuum Sealing System is that it can overheat relatively easily, and requires quite a long cool down period in between seals, so it can be difficult to use if you have large quantities of food, as this will likely slow you down. However, this should not detract from the incredible design of the FoodSaver 4840 2-in-1 Automatic Vacuum Sealing System, which is guaranteed to make your like much simpler in the kitchen. If you would like to find out more about the FoodSaver 4840 2-in-1 Automatic Vacuum Sealing System, we have a detailed breakdown of each feature, addition, and all of the different options that you can get with this sealer down below. The second best option on this list is the FoodSaver V4440 2-in-1 Automatic Vacuum Sealing System. The FoodSaver V4440 2-in-1 Automatic Vacuum Sealing System offers very similar features to the first place food vacuum sealer machine on this list, but the lower sensitivity just pushes it into the second place spot. The FoodSaver V4440 2-in-1 Automatic Vacuum Sealing System is a fair bit cheaper than the FoodSaver 4840 2-in-1 Automatic Vacuum Sealing System, and still offers all of the innovative features, ease of usage, and ease of cleaning that the first place product does. However there are more drawbacks with the FoodSaver V4440 2-in-1 Automatic Vacuum Sealing System than there are with the FoodSaver 4840 2-in-1 Automatic Vacuum Sealing System. The FoodSaver V4440 2-in-1 Automatic Vacuum Sealing System has a lower sensitivity and suction, meaning that it takes a lot longer and a lot more effort to get the same tightness with the vacuum and seal. This takes up a lot more time and can slow you down if you are packaging bulk amounts of food. As well as this, the FoodSaver V4440 2-in-1 Automatic Vacuum Sealing System wastes a lot more of the bags and packaging than the more expensive FoodSaver model, as it does not have the same integrated system. However, the FoodSaver V4440 2-in-1 Automatic Vacuum Sealing System is still a fantastic model that offers all of the FoodSaver features and accessories that help you in the kitchen and make your life much simpler. It can also cope with the larger bags, so you are completely unrestricted with your bag sizes and the amount of food that you can seal. For more information about the FoodSaver V4440 2-in-1 Automatic Vacuum Sealing System, you can read more about it in out detailed breakdown of the features, pros, and cons, to help you make your decision. The FoodSaver FM2435-ECR Vacuum Sealing System is another excellent option from the FoodSaver brand. 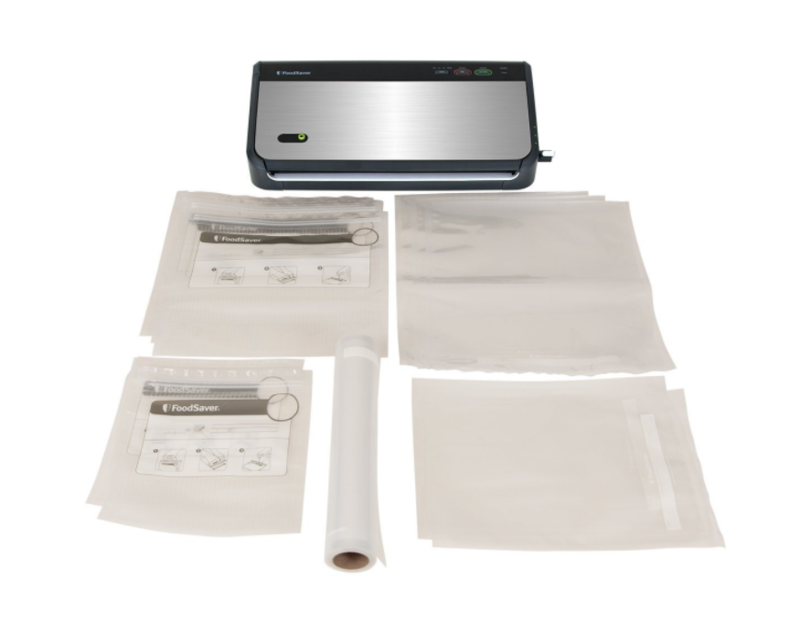 The FoodSaver FM2435-ECR Vacuum Sealing System has all of the incredible features that are standard with all of the FoodSaver food vacuum sealers, such as an integrated system to reduce bag waste, an extra wide sealing grip, and options for a moist and a dry mode. These great features help to make your kitchen much more efficient, save you money, and cut the waste that your household produces. The FoodSaver FM2435-ECR Vacuum Sealing System is built specifically to help you in the kitchen and keep your food as fresh as possible for as long as possible. The main drawback to the FoodSaver FM2435-ECR Vacuum Sealing System is that there is no automatic stopping mechanism when the machine is vacuuming the bags, it needs to be manually switched off. This means that you cannot leave the FoodSaver FM2435-ECR Vacuum Sealing System to do the job as you do other things; it needs monitored to ensure that the food is not damaged or crushed during the suction. 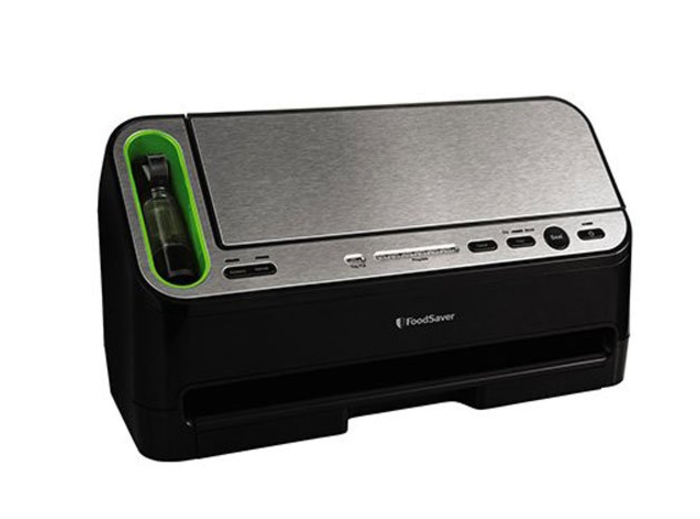 FoodSaver is the leading brand for food vacuum sealers, giving the great reputation of the FoodSaver brand with each one of the FoodSaver products, so you can be safe in the knowledge that you will be purchasing an excellent product that is built to last. If you would like to find out more about the FoodSaver FM2435-ECR Vacuum Sealing System, we have put together a detailed description of each feature, the pros, and the cons, so that you can make a fully informed decision. The FoodSaver V2244 Vacuum Sealing System is one of the cheaper FoodSaver models on this list, yet it still offers all of FoodSaver’s state-of-the-art and helpful features to make vacuum sealing your food as easy as possible, and to allow you to vacuum seal so many other kinds of packaging. The FoodSaver V2244 Vacuum Sealing System is one of the most lightweight and compact food vacuum sealers on this list, making it easy to transport and store, whilst still being powerful enough to vacuum and seal larger bags, jars, bottles, and so many other packages. 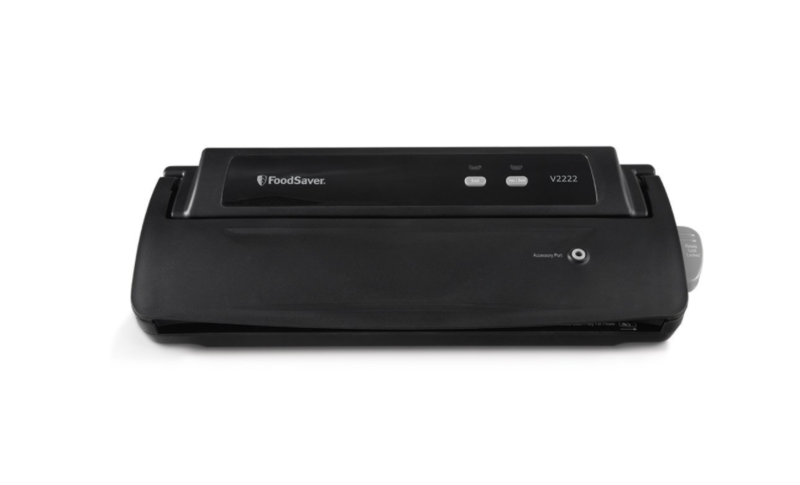 The FoodSaver V2244 Vacuum Sealing System is also quick and easy to clean, making it one of the easiest food vacuum sealers to use. The main drawbacks with the FoodSaver V2244 Vacuum Sealing System is that it needs to warm up more than other options and the seal is slightly weaker than other models, which is understandable due to the smaller size. As well as this, the FoodSaver V2244 Vacuum Sealing System does not offer an automatic mode, so you can’t seal food at the same time as doing other things, meaning that it needs your full attention. 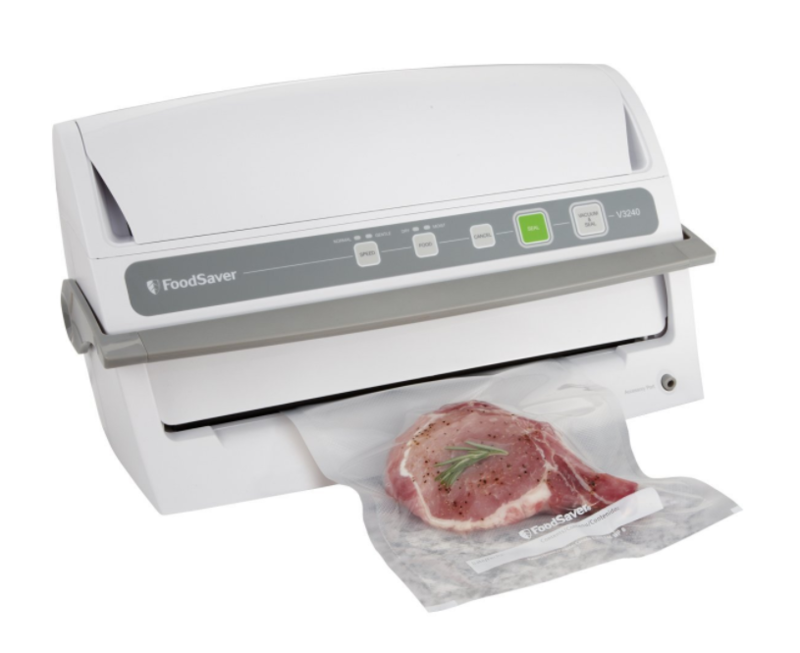 The FoodSaver V2244 Vacuum Sealing System is a great option for your new food vacuum sealer. If you would like to find out more about it we have a detailed breakdown about every aspect of the FoodSaver V2244 Vacuum Sealing System further down in this article to help you make a full and informed choice about which vacuum sealer is the best for you and your needs. The Vacuum Sealer 3S Vacuum Seal Machine is a slightly more expensive option for your new food vacuum sealer, and it is the first vacuum sealer on this list that is not produced by the brand leader, FoodSaver. The Vacuum Sealer 3S Vacuum Seal Machine is produced by an Amazon based company 3S, which focuses on producing and manufacturing products to help in day-to-day life both in and out of the kitchen. 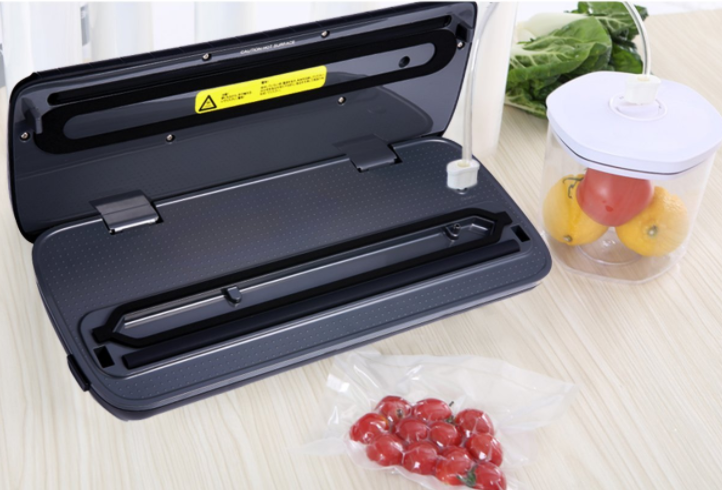 3S regularly receive 5-star ratings on Amazon, and are under the rules and regulations set by the site, so you can be sure that you are receiving a quality product with the Vacuum Sealer 3S Vacuum Seal Machine. The Vacuum Sealer 3S Vacuum Seal Machine quickly vacuum packs and seals the bags of food, and has the options to seal many different forms of packaging. As well as this, the design of the Vacuum Sealer 3S Vacuum Seal Machine makes sure that nothing is leaked, and the bags are kept still and stable in the machine so that there is no leakage, and the matching is easy to clean afterwards. This makes the Vacuum Sealer 3S Vacuum Seal Machine one of the easiest machines to clean, and keeps the bags as hygienic as possible. The main drawback to the Vacuum Sealer 3S Vacuum Seal Machine is that many customers have founf that parts of the machine can be very stiff to use and it is hard to get used to, and this can be difficult for those with a smaller frame, or for those who suffer from things like arthritis. 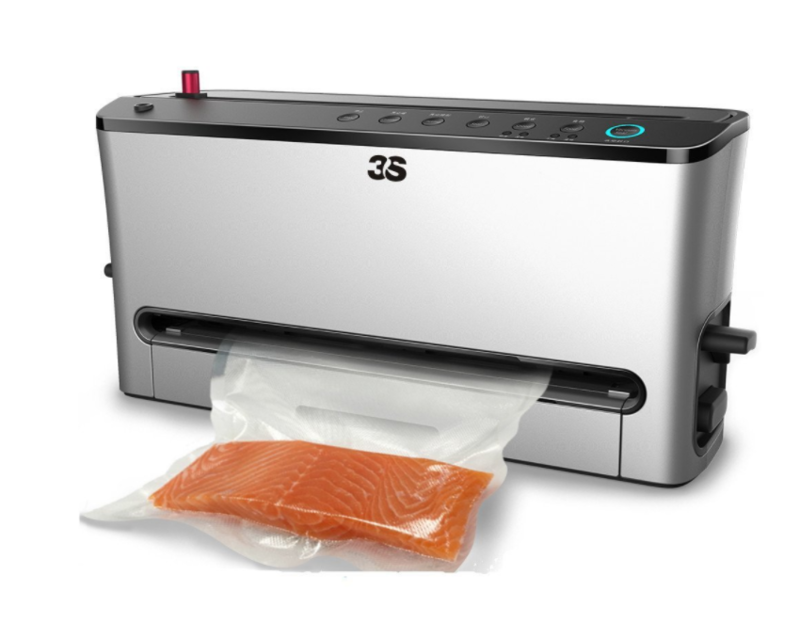 If you would like to learn more about the Vacuum Sealer 3S Vacuum Seal Machine and the 3S company, keep reading for the detailed breakdown of the product and all of its features. 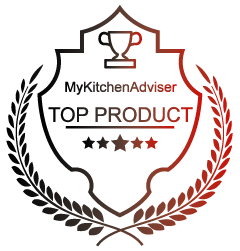 Another FoodSaver system, the FoodSaver V3240 Automatic Vacuum Sealing System is one of the top products on this list for ease of use and user friendly designs. The FoodSaver V3240 Automatic Vacuum Sealing System has both a moist and a dry option, so there is no need for extensive prepping and pre-freezing before vacuum packing the foods, and the two different speeds on the machine give you full control over the tightness of the seal. The bag roller is built into the machine itself; meaning that you can customise your own bags as you go, rather than having to carefully design a bag before starting the vacuuming process. The standard FoodSaver accessory port is also available with the FoodSaver V3240 Automatic Vacuum Sealing System, so you can customise the machine to do exactly what you need it to, without having to buy different mchines. The main drawback to the FoodSaver V3240 Automatic Vacuum Sealing System is that it requires a lot of time to cool down in between sealing, and this can take up a lot of time, especially if you are trying to vacuum pack a larger or bulk buy of food. The FoodSaver V3240 Automatic Vacuum Sealing System is also much bigger than other models on this list, making it difficult to transport and store away. However, the FoodSaver V3240 Automatic Vacuum Sealing System is still a budget friendly option for a food vacuum sealer machine, and the FoodSaver brand is one that can be well trusted. If you would like to find out more about the FoodSaver V3240 Automatic Vacuum Sealing System, you can read all about the features, the brand, and the pros and cons later on in this list where we have broken each product into its separate parts. The Crenova Automatic VS-1 Food Fresh Preservation Vacuum Machine is from another Amazon Marketplace based brand. Crenova offer hundreds of different options and products on the Amazon Marketplace, and consistently achieve high ratings from real customers. They are also under the Amazon Marketplace rules and regulations, and are to uphold these rules to keep customer satisfaction high. 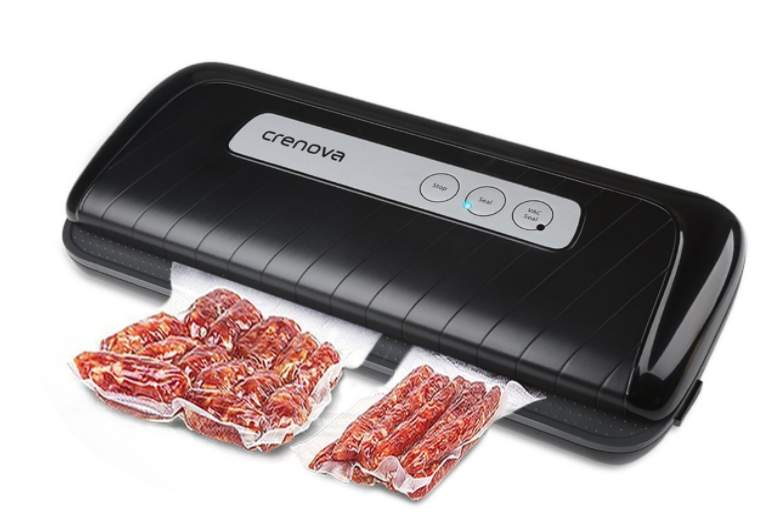 The Crenova Automatic VS-1 Food Fresh Preservation Vacuum Machine is a powerful food vacuum sealer, with a great user-friendly panel to make using the machine very easy. The Crenova Automatic VS-1 Food Fresh Preservation Vacuum Machine has a high powered motor in order to provide a powerful suction and impermeable, airtight seal, so your food is kept safe and fresh as it is stored. The Crenova Automatic VS-1 Food Fresh Preservation Vacuum Machine also has the capacity to cope with much larger amounts of foods, so it is perfect for use in a business, or for the avid hunter or fisherman to package and store their catches. The main drawback to the Crenova Automatic VS-1 Food Fresh Preservation Vacuum Machine is that is can struggle with moist foods, in the same way that all food vacuum sealers do, and this can be an issue for those who seal meats and fish. The Crenova Automatic VS-1 Food Fresh Preservation Vacuum Machine also takes a much longer time to cool down than other models, which adds a lot of time onto your sealing. The Crenova Automatic VS-1 Food Fresh Preservation Vacuum Machine is also quite difficult to clean, which can be rather unhygienic if left not properly cleaned. If you would like to find out more about the Crenova Automatic VS-1 Food Fresh Preservation Vacuum Machine then you can read the full description of the product later on in the article. 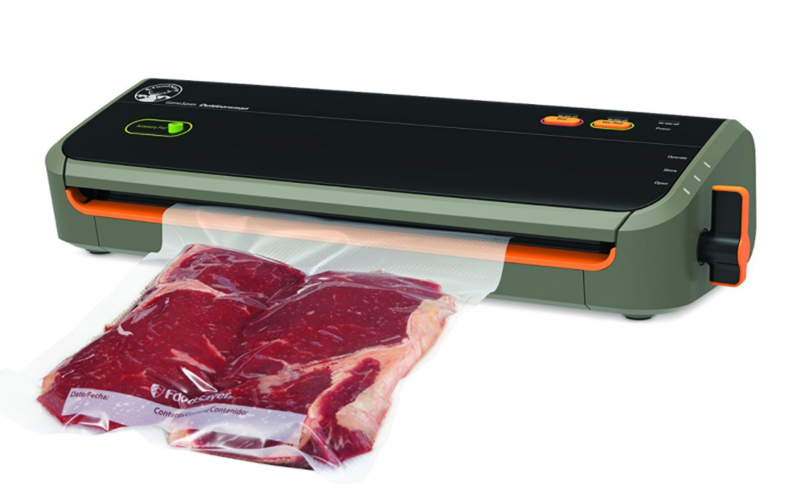 The Ivation Vacuum Bag Sealer is another slightly more expensive model on the list, but it does offer a large amount of clever features to help make the machine much more user friendly than some other models on this list. Another Amazon based company, Ication sells over 500 products on the marketplace, and each one achieves a minimum of a four-star overall rating, so you can be sure that the manufacturing of your Ivation Vacuum Bag Sealer will be of a high standard. 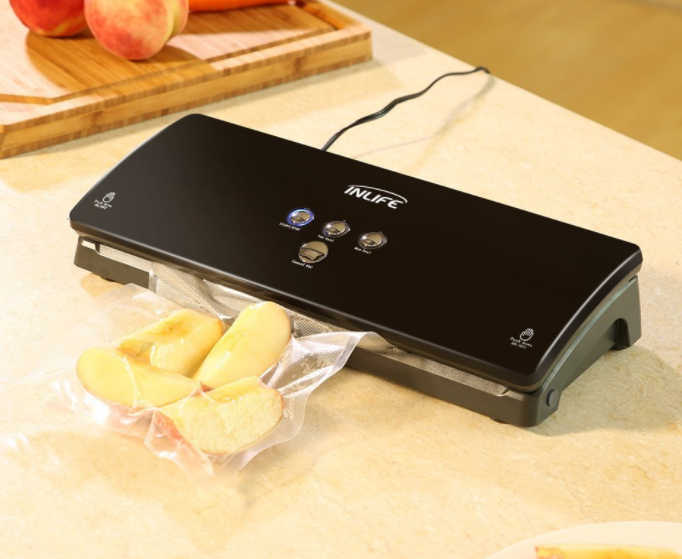 The Ivation Vacuum Bag Sealer has a much more gentle suction, making it suitable to use when vacuum packing softer fruits and other delicate foods, as it stops the food from being crushed by the vacuuming. The one-touch operation allows you to stop and start the vacuuming process whenever you like, and the moist and dry options make it especially easy to vacuum pack any foods you like. 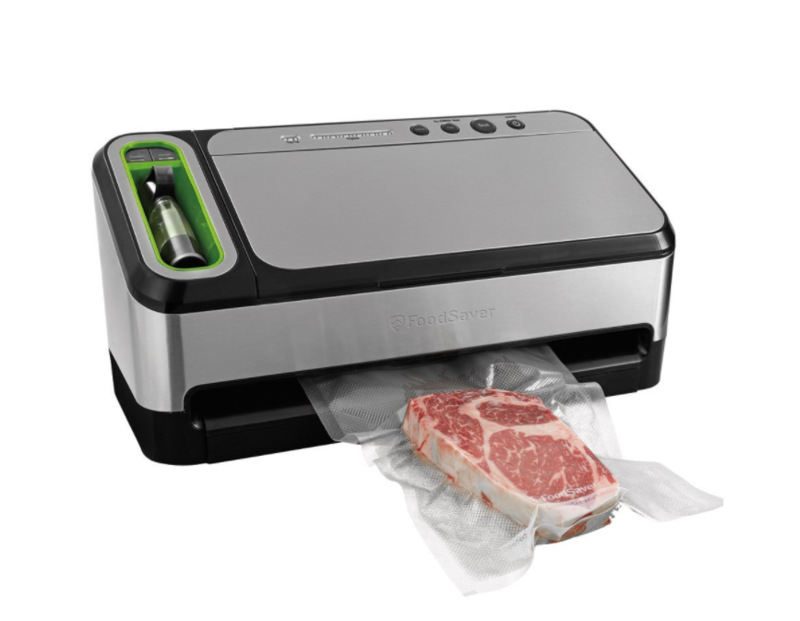 The Ivation Vacuum Bag Sealer can accommodate some of the longest bags on this list, making it perfect for larger cuts of meat and larger quantities of food, as the bag size will easily hold a lot of food. The main drawback to the Ivation Vacuum Bag Sealer is that it can struggle with very large quantities of food, and some customers have said that it can take some getting used to. This can be difficult for those who aren’t used to food vacuum sealers, or aren’t as tech-savvy, as other models on this list are very simple and easy to use. 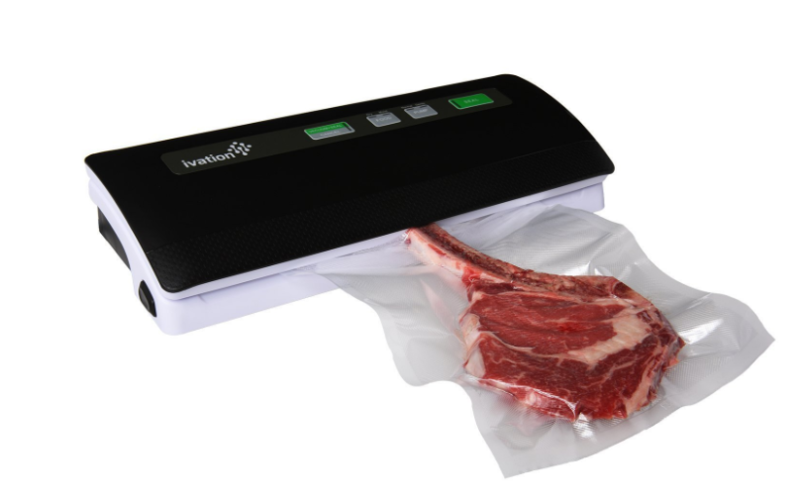 If you would like to read more about the Ivation Vacuum Bag Sealer, scroll down to our detailed breakdown of all of the product features, pros, cons, and brand description, where we have compiled everything you need to know about the Ivation Vacuum Bag Sealer. 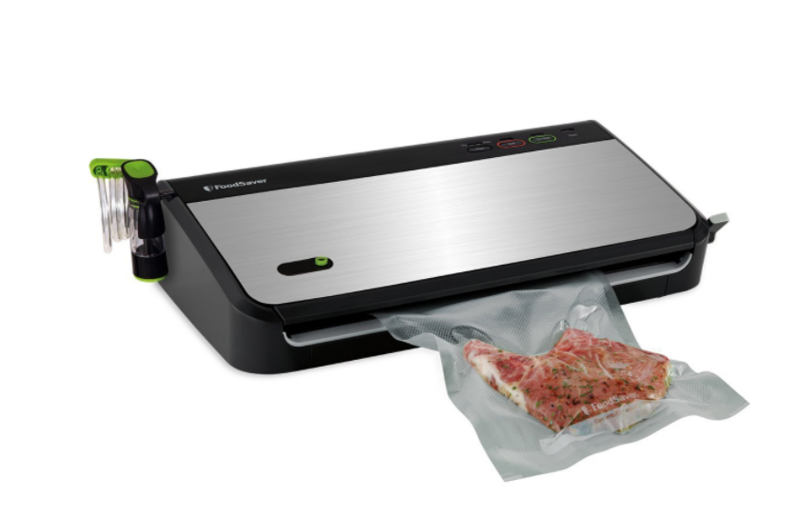 The FoodSaver GameSaver Outdoorsman Vacuum Sealing System is the final food vacuum sealer from the FoodSaver brand, and this one is perfect for the avid hunter or fisherman, as it has some impressive features that no other food vacuum sealer on this list has. 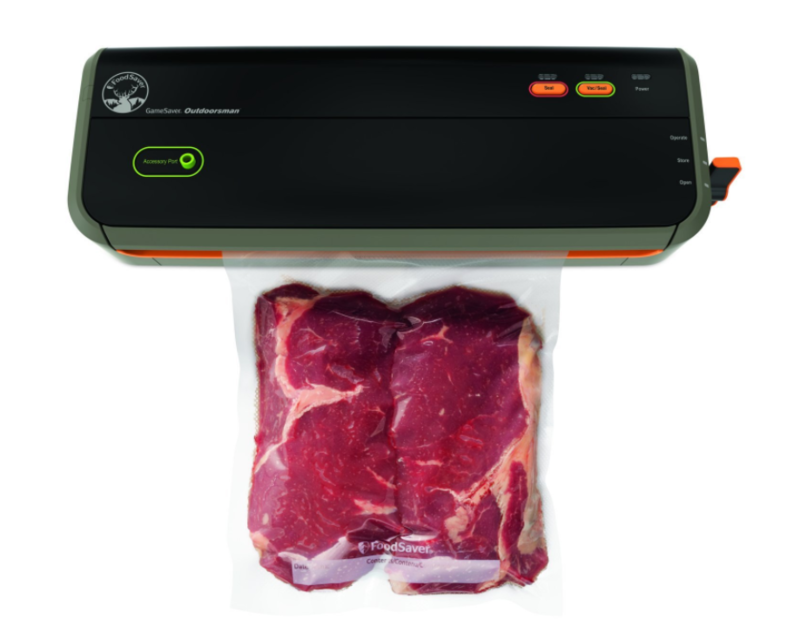 The FoodSaver GameSaver Outdoorsman Vacuum Sealing System can seal up to 40 consecutive seals, and batch of seals can hold around 120 pounds of meat, which is perfect for a game hunter or big fishermen. 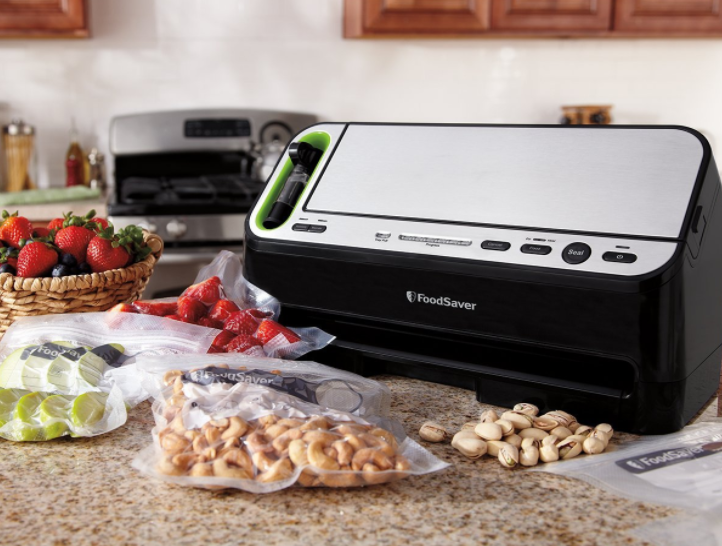 The FoodSaver GameSaver Outdoorsman Vacuum Sealing System is one of the most powerful food vacuum sealers on this list as it is specially designed with hunters and fishermen in mind. The FoodSaver GameSaver Outdoorsman Vacuum Sealing System is also very lightweight, so it is very easy to pack when you go on your hunting and fishing trips, as it only weighs around 5 pounds, and the cable stored easily and neatly underneath the body of the machine for quick and easy storage. The main drawback to the FoodSaver GameSaver Outdoorsman Vacuum Sealing System is that there is no automatic function, you have t manually vacuum and seal the meat, which can take a long time, especially after a particularly successful hunt or fishing trip. As well as this, the FoodSaver GameSaver Outdoorsman Vacuum Sealing System can waste a lot of the bag on the edges of the seals, as it requires a rather large mount of space for a successful seal. 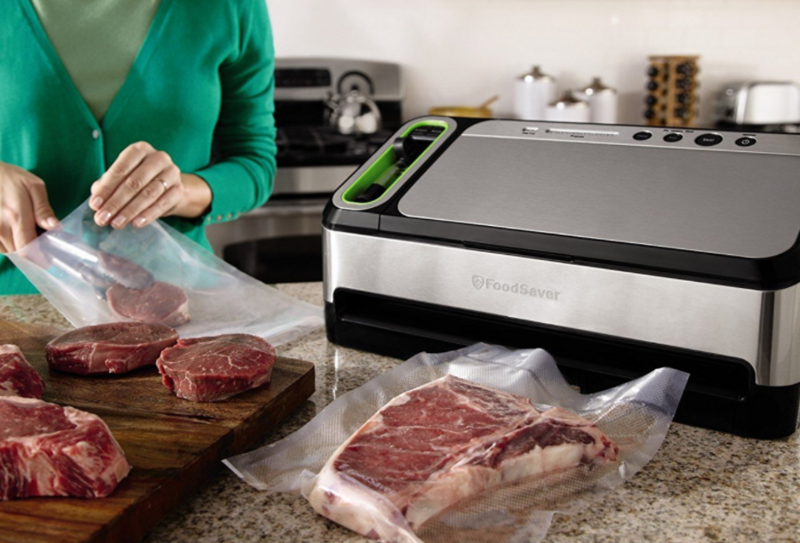 If you think that the FoodSaver GameSaver Outdoorsman Vacuum Sealing System is the best fit for your needs, read more about it in the detailed breakdown of features, pros, and cons in the breakdown of the machine later on in this article. 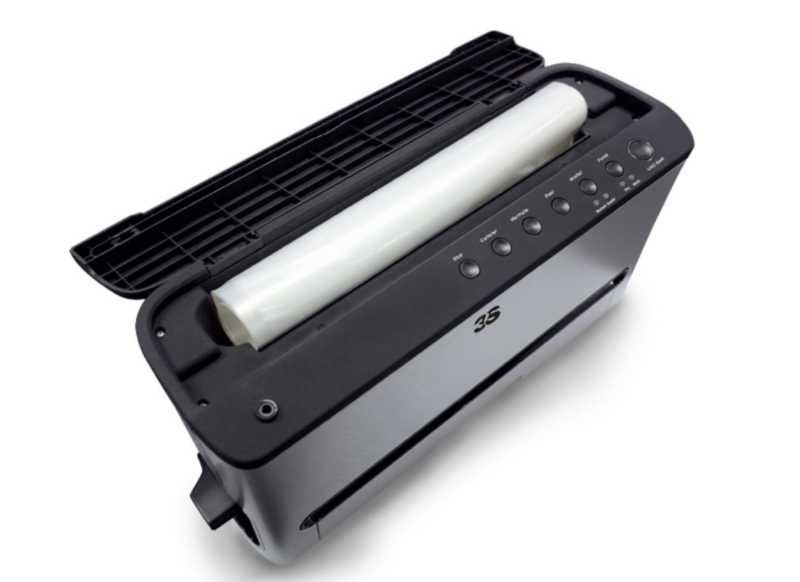 Last but not least, the InLife K8 Automatic Vacuum Sealer. The InLife K8 Automatic Vacuum Sealer may be at the bottom of this list, but it is still an incredible option for a food vacuum sealer, earning it a place on our top ten list. 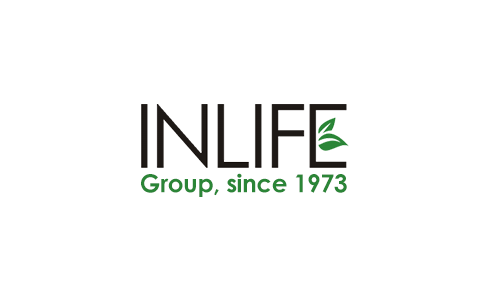 From the brand that developed a non-smoking cigarette, InLife is an innovative brand that develops hundreds of products for so many different uses in all areas of the home. You can be sure that with InLife you will be getting a high quality product that is build to last, as well as serve its purpose well. 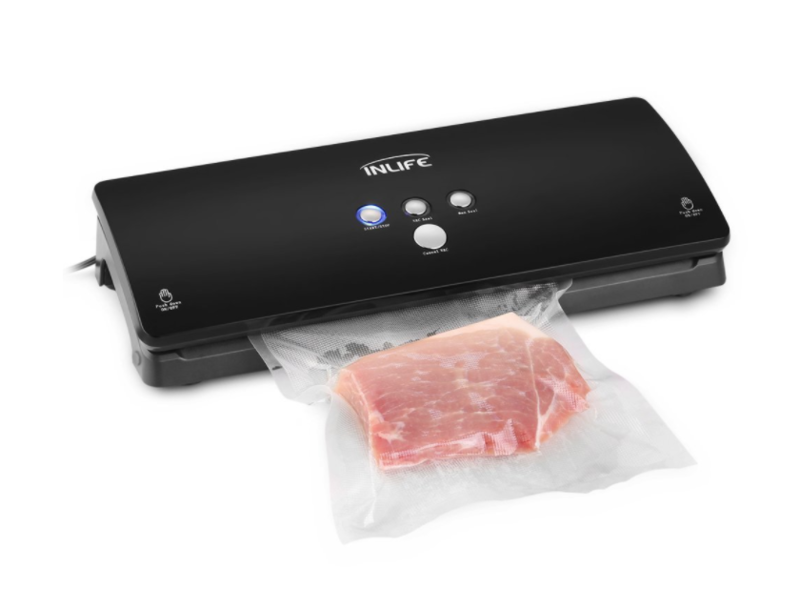 The InLife K8 Automatic Vacuum Sealer has four different modes that incorporate suction, sealing, or both, so that you have control over how tight you would like the seal to be on your foods. The InLife K8 Automatic Vacuum Sealer is also fully automatic, so you can do other things around the kitchen whilst the InLife K8 Automatic Vacuum Sealer does its job in the background, without needing any of your attention. The lightweight design of the InLife K8 Automatic Vacuum Sealer makes it easy to store away, and the low consumption motor makes it great for those who are a bit more eco-conscious. The main drawback to the InLife K8 Automatic Vacuum Sealer is that it is hard to clean, and it is not as durable as other options on this list, so it is not as suitable for day-to-day use as other options are. This means that the InLife K8 Automatic Vacuum Sealer will not last as long as other models on this list, and will likely need replaced much sooner. If you would like to find out more about the InLife K8 Automatic Vacuum Sealer, we have a detailed description of the entire product, as well as all of the other products later on in this article. When you’re buying a new product it is always important to look at different aspects and factors so that you can make sure that you get the right choice and the right model for you and your needs. This part of the article has put together some of the important factors that you need to consider in order to get the machine that best fits your needs and will offer everything that you need it to. A lot of food vacuum sealers are only compatible with bags that are made by the same company, and this can be marginally more expensive overall than supermarket made brands. However there are options available that are compatible with most bags available in supermarkets, which are much cheaper, yet these options are not usually from the most popular brands. Many brands come with different accessories that will allow you to vacuum seal many other different kinds of packaging than just bags. This does come at some extra cost, but does give you a lot of freedom with your food vacuum sealer. Some models will also come with a manual hand sealer as well as the automatic sealer, which can be very helpful, but also comes with extra cost. A lot of the FoodSaver options come with removable drip trays and other ways that help you to keep the vacuum sealing process as clean as possible. This can massively help to clean up afterwards, and to stop the spillage and dripping that other, cheaper models can bring if they do not have as many features to help you clean up. A lot of the models on this list have specific designs to keep the wastage of the bags to a minimum to help you save as much money as possible. The cheaper models can waste a lot of the bag, which can be more expensive in the long run. If you have a larger household then it is recommended to buy a bigger food vacuum sealer model that has the capacity of a larger amount of foods, more leftovers, and bulk purchasing. Food vacuum sealers are a great way to save money off your food bill, especially if you have a larger family to cater for. You should also make sure that you invest in a model that can cope with some wear and tear from daily usage. Sous Vide cooking is a clever way of cooking liquid rich and frozen foods to ensure an even cook throughout the foods. If you want to use your food vacuum sealer for sous vide cooking you will need a specialist bag to seal your food with, and this will require a food vacuum sealer that is capable of sealing a thinker, sous vide appropriate bag. Many different brands will offer an accessory port so that you can purchase accessories for your food vacuum sealer machine. This means that you can have the potential to seal things like wine bottles, canisters, and jars, so that you save a lot more food than with your sealer bags alone. If you wish to buy other accessories for your food vacuum sealer, you should make sure that you buy from a brand that offers the accessories that you want, as well as an accessory port. Some of the cheaper models require pressure to be applied in order to get a good seal and tight vacuum, and this can be difficult for those who suffer from diseases such as arthritis, or those who have smaller frames, as it can be difficult to apply enough pressure. Budget is the most important thing to consider when buying a new food vacuum sealer. As with most other things, it is always a better idea to spend as much as you can rather than buy a budget model, as this will get you the better model with more features, capacity, and durability. There are some models on this list that aren’t necessary for home use, but there are also sealing machines that are more suitable for larger amounts of foods and more frequent usage. This article mainly focuses on online purchasing, as we have compiled a list of machines that are found online and will be delivered to your home. If you’re looking to buy from a shop, or even online, it is never recommended to buy a second hand machine, as the general wear and tear of a machine can make it unsafe or unusable. We hope that this list has helped you to take into account some of the important aspects of buying a new food vacuum sealer machine so that you can get the best option for you needs. Read more about what machines may fit all of your needs in the machine descriptions later in this article. It can be very confusing to find a vacuum sealer that fits all of your needs without surpassing your budget and breaking the bank. We understand how hard it can be to find the right option, so we have put together some of the best ways to determine what is a good vacuum sealer, and what is a bad vacuum sealer. Offers an accessory port and many different accessories so that you can seal almost anything. Offers helpful features such as cleaning trays and stainless steel design for easy cleaning. Offers a large capacity for food and bags. Has a strong seal and powerful vacuum to provide an airtight seal. Has a wide sealing band to provide a seal across larger bags. Offers the ability to use Sous Vide bags so that you have more options with your food vacuum-sealing machine. Has both an automatic and a manual control panel so that you can control how tight the seal is that you are creating. Offers a light enough vacuum to allow you to vacuum seal more delicate foods, such as soft fruits and vegetables. Offers a marinade mode for your meats. Is capable of dealing with regular wear and tear. Offers both wet and dry sealing modes. Is from a brand that is not trusted or recommended by trusted websites or blogs. Has a limited amount of uses or accessories, as this will become a problem if you wish to expand the uses of your food vacuum sealer. Requires a large amount of time to cool between seals; this is a sign that the heating element runs very hot, and this can be dangerous. Makes a lot of noise; generally noise is a sign that something is going wrong in the machine, a machine that is already loud makes it difficult to listen out for strange noises. It has consistently poor reviews on trusted websites and blog sites. The suction does not automatically stop, or requires efforts to stop the sealer. This can be dangerous as the sealer can melt the bag into the mechanism of the machine. Is much larger and heavier than other models; this can cause issues if the machine is dropped or damaged, and can be difficult for smaller or weaker people who want to use the machine. If the machine has too many complex features and buttons to just use the machine for sealing it can be difficult to get used to the machine itself in order to make it work as well as possible. If the machine is difficult to clean it can cause issues with the hygiene levels of the foods, and cause bacteria to enter the bags with the food, taking away any benefits of the vacuum sealing process. Finding the best food vacuum sealer usually starts with finding the best brand, and looking at what products and features that they can offer, but with so many brands out there it can take a long time to riffle through and find the ones that are best. This part of the article has broken down six of the best food vacuum sealer manufacturers and brands so that you can ensure you are getting a high quality, high performing food vacuum sealing machine. FoodSaver is by far the brand leader, with over half of the products on this list coming from the FoodSaver Company. FoodSaver is an American based company that offers a wide range of home and kitchen products to provide you with an easier experience and a lower food bill. If you are looking for a new food vacuum sealing machine, FoodSaver is a definitely a brand that you can trust to provide you with a high quality, long-lasting machine. 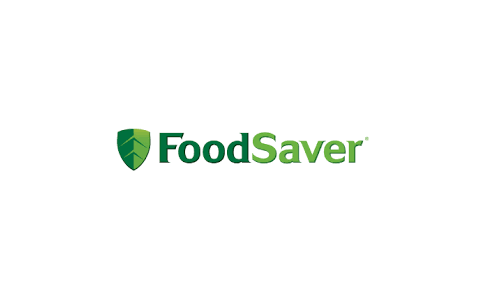 FoodSaver advertise that, with their products, your food will last up to five times longer than normal storage techniques, which can save you over $600 a year, which is incredible for reducing your food bill. Cuisinart is another American based company that offers a huge range of home ware, both in and out of the kitchen. They are another top leading brand in both the UK and the USA, as they offer a huge number of solutions, no matter what the problem or need. Cuisinart have also developed a number of apps and games to help educate people around the world about kitchen care, recipes, and other aspects of working in the kitchen to help develop them as cooks. When looking into buying a new food vacuum sealer, then Cuisinart is a great brand to go with, as they are a very well established company. Another American company, Weston offer a number of great products with the mission of helping ‘hunters, gatherers, and locavores’ by producing long-lasting and durable products to help make a self-sustaining lifestyle possible. The company is a family grounded company that focuses on the family aspect of the home, providing innovative products that aim to make family life simpler, faster, and cheaper. Weston is a very trustworthy company if you’re choosing a new vacuum sealer machine. Crenova is an Amazon based company that is under the rules and regulations, so you can be sure that they will keep the trusted reputation of the Amazon Marketplace. 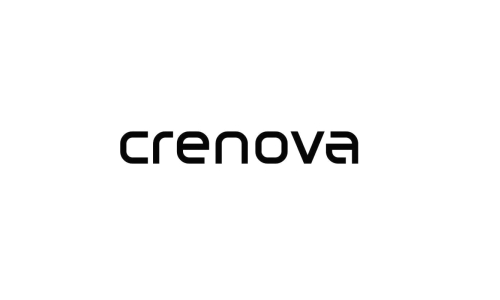 Crenova is rated by unbiased customers, and has achieved an overall rating of five stars, which is an incredible achievement for a company that manufactures and sells over 200 products. Ivation is another Amazon based company, putting it underneath the umbrella of Amazon’s rules and regulations for returns, delivery, and customer care. 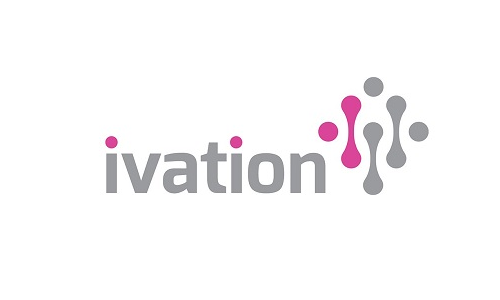 Ivation does not have as high of a reputation as Crenova, yet it still reaches four star ratings regularly, and offers over 500 products on the Amazon Marketplace. If you are looking for a more budget friendly manufacturer then Ivation and other Amazon based companies are definitely something to look into. InLife is a US company that were made a bit of a household name through the development of a non-smoking cigarette that doesn’t break any laws by smoking it indoors. 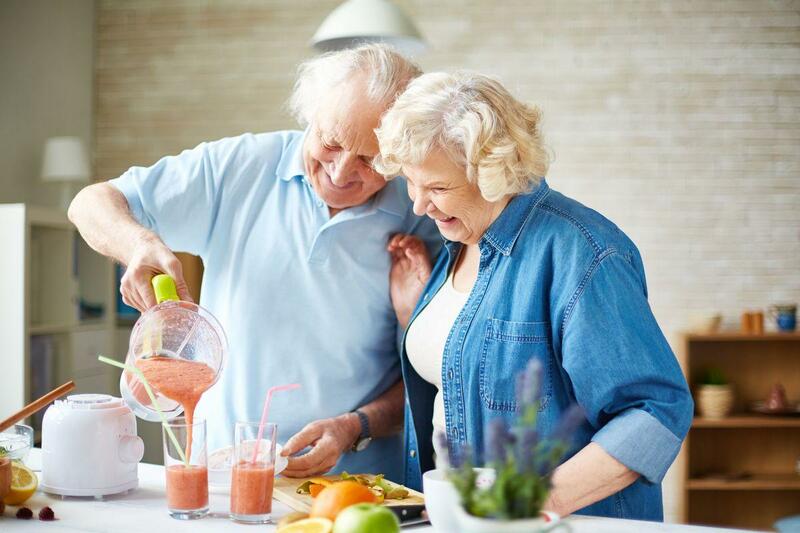 Not only does InLife sell innovative smoking solutions, they have also manufactured an excellent number of kitchen and home ware products to help make home life, cooking, and other daily tasks much quicker and much easier. If you are looking for a brand that you can definitely trust, the InLife brand is one that you can definitely look at in order to get a good quality, high performing product. 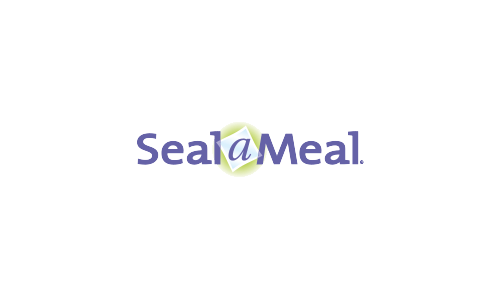 Seal-A-Meal is another American company that offers many different vacuum sealers that provide you with the ability to save money, time, and waste on your food. Seal-A-Meal is a big competitor against FoodSaver, as both companies focus solely on the development and production of food vacuum sealers, rather than all round kitchen appliances. If you’re looking for a food vacuum sealer that offers everything that you need it to, the Seal-A-Meal is another great brand to consider. There are so many different brands currently on the market that produce some great food vacuum sealer machines, and it can be confusing to go through each review and brand description. We hope that this list of leading and trustworthy brands has helped you to narrow down some of the best brands so that you can find the best food vacuum-sealing machine for your family needs. 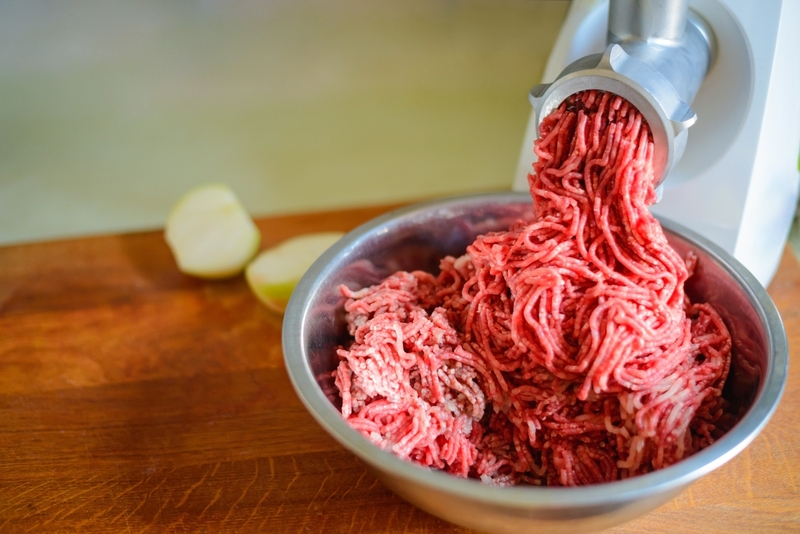 Food sealing machines can be useful in so many different areas of the house, not just the kitchen. This list has put together some excellent tips and tricks to help you get the most out of your new vacuum sealing system, as well as some little known tips that you can do with your sealing system to help out around the house. This is vitally important. If there is any water along the sealing area the heating element will evaporate it whilst sealing around it, creating an air pocket that could result in a faulty seal and air leaking into the bag. Make sure that you dry the sealing area after filling the bag with food to make sure that you get a successful seal every time. Pre-freezing helps to keep the water out of the bag, but within different meats. This can be especially helpful if you want to cook your food sous vide, because it stops the meat from losing any moisture, and keeps the meat moist and tender when you cook it. As well as this, it can help keep the sealing area as dry as possible, making sure you have an airtight seal, keeping the air out, but the moisture and freshness locked in. A lot of machines will accommodate bags from different brands, as there is no way to make a bag or sealer that will only accommodate bags from the same brand. A lot of stores will offer vacuum sealer bags that are not from big brands, but still offer just as good of a seal, and will save you a lot of money rather than going crazy buying lots of bags that match your sealer. Overfilling the bags will stop the sealer from being able to vacuum the air out properly, and can result in liquid or food being dragged into the mechanics of the machine and causing irreparable damage. Make sure that you only fill the bags to the recommended amount and leave the right amount of space between the food and the sealing area. This will ensure that you get a proper seal and can store your food for as long as possible. There are so many options and sizes of bags that you really do not need to create your own bag, as most vacuum sealing machines can only accommodate for certain sizes of bag. If you really want to make your own bag, make sure you have some practice runs first and double seal each edge so that there will definitely be no leaks. Preparing your fruit and veg before vacuum sealing will keep it moist and tender, whilst also keeping it tough enough so that it doesn’t get crushed during the sealing process. This keeps the produce safe from freezer burns, as well as helping it to keep its shape and freshness. 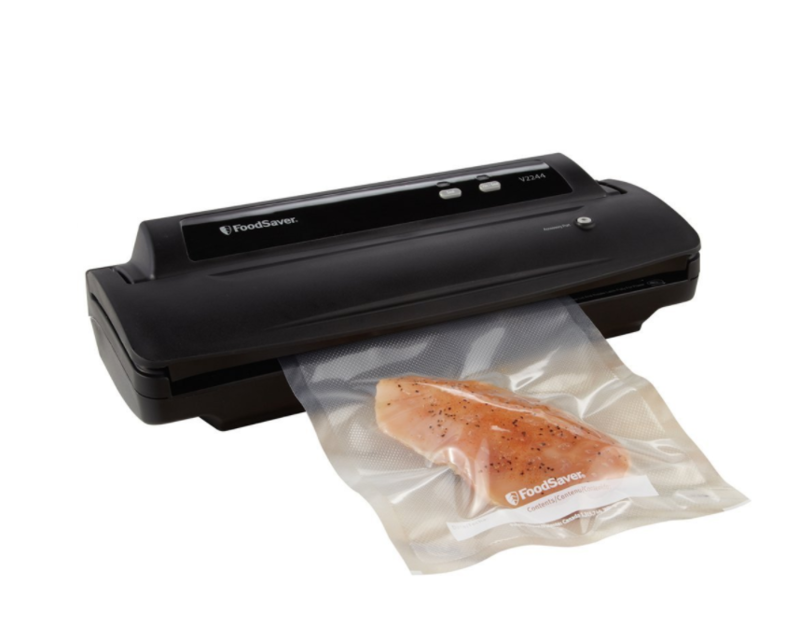 Vacuum sealers are a great way of sealing up things that aren’t food, such as documents that need to be kept waterproof, necklaces to protect from tarnishing, and many other innovative options to seal household goods to keep them safe. Don’t let the name ‘food vacuum sealer’ fool you; you can use your food vacuum sealer to keep a lot of different things safe and airtight. Sharper foods like spaghetti and pasta can pierce the bag, resulting in air leaking into the vacuum packed food. To combat this you can wrap these foods in soft cloth or tissue so that the sharp edges don’t rip into the bag and let air into the packaging. This will keep the bag intact, the food sealed, and your pasta fresher for longer. Finally, when it comes to making your decision, make sure that you’ve taken into account all of the things on this list. Write yourself a bit of a to do list before you dive into the online world of vacuum food savers and keep in mind everything that we have pointed out. For a product to really meet with the criteria you want it to, make sure that you know exactly what you need. First off, make sure you know what types are available to you, and what type of sealer you think will suit your needs the best. With so many different options you can be sure that there is a design and feature that will suit the needs of you and your family, as well as offering up some great features that will make home life easier in other areas, too. Make a list of all the things that you need your vacuum sealer to be able to do, and a list of the things that you would like it to do, then set yourself a budget so that you can look into the options that offer what you want within your budget. Then have a look into the different brands that offer the best options to fulfil your list and how trustworthy they are. The combination of brand and features is important, as it will let you know how high the quality of the vacuum sealer will be. Once you’ve had a look into all of the different aspects of your vacuum sealer options, make a list of the three best machines for your budget and check out the reviews online. Once you’ve made your mind up it’s time to buy the machine and enjoy vacuum sealing your food for years to come. 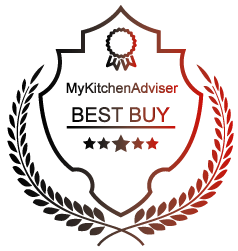 Nicole is a wife, mother of two and an experienced reviewer for kitchen products. She always tries to be non biased, sharing her real experience with the products and providing the readers with informative pros and cons of each product. 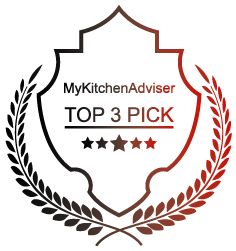 © 2017 MyKitchenAdviser.Com All rights reserved. 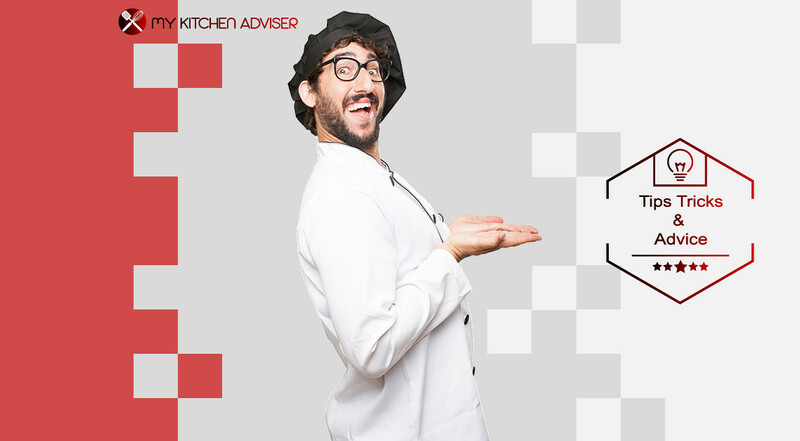 MyKitchenAdviser.com is a participant in the Amazon Services LLC Associates Program, an affiliate advertising program designed to provide a means for sites to earn advertising fees by advertising and linking to amazon.com.